A report on political finance regulation has seen Malawi scoring the lowest grade in accounting for and transparency about the source of funds used to run political parties. The Global Integrity report released Friday reveals that regardless of how weak or sophisticated their political financing regulations are, countries around the world are equally failing to effectively regulate the flow of money into politics. The study which had 31 countries across continents as samples has given Malawi a zero grade because the country does not have political finance regulation for political parties and individual political candidates. “Malawi scored 0 out of 100 as a direct result of the country’s complete lack of political finance regulation for political parties and individual political candidates. Disclosure of party and candidate political finance information to the public is non-existent (0 out of 100). The scores place the country as one of the lowest scoring ever on the Global Integrity Report,” it reads. Often during rallies and campaign rallies of ruling parties, government department and parastatals are “forced” to provide transport to ferry people while in opposition parties funds are often believed to come from individuals and other business people. “Government bureaucracy is considered an extension of the ruling party or is routinely utilised for partisan purposes. The boundaries between public resources and party activities remain blurry in most countries assessed,” observed the report a development which Global Integrity Executive Director, Nathaniel Heller says is a catalyst of corruption. “We remain deeply concerned by the lack of progress globally on effectively regulating the flow of large sums of private money into the elections process in many countries. Political financing remains the number one corruption risk around the world, and absent meaningful reforms will continue to hinder many other open government and transparency initiatives,” said Heller. Despite failing miserably, Malawi can take solace in the fact that out of the 31 countries used as samples; only Germany and Colombia have scored over 70 percent on a 100-point scale while the rest have scored below 60. The report which is a result of an assessment the effectiveness of laws regulating individual and corporate donations to political parties, as well as the auditing of those donations and campaign expenditures also observed that anti- corruption agencies are heavily politicised which makes them fail to make inroads investigations in cases involving people in government. “Government monitoring agencies tasked with enforcing such laws typically lack investigative power and often have little to no authority to impose sanctions. “Anti-corruption agencies often fail to fulfil expectations. Many anti-corruption agencies assessed in 2011 are heavily politicised and are not independent from the governments they are ostensibly tasked with monitoring,” it reads. 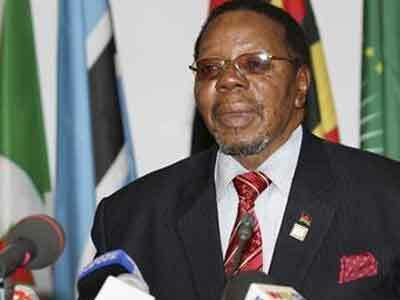 Malawi’s Anti-Corruption Bureau (ACB) has been facing criticism from the public for failing to finish investigations on cases involving government top brass. ACB spokesperson Egritta Ndala maintained the independence of the body arguing that some cases take long to investigate because of their complexity. “The Anti-Corruption Bureau operates independently without any political influence. This is entrenched under Section 4 (3) of the Corrupt Practices Act which states that ‘the Bureau shall exercise its functions and powers independent of the Direction or interference of any other person or authority’. “The Anti-Corruption Bureau investigates alleged corrupt practices without looking at whether those involved are politicians or not. Each investigation is different from the other in terms of complexity. Complex cases take long to conclude because they are complex not because they involve politicians. Some cases take long to conclude prosecution because those suspected to have engaged in corrupt practices sometimes use the legal system to challenge the prosecution process thereby delaying the matters,” she said.